The USF240 series from Caddock are ultra-stable low temperature coefficient (TCR) film resistors, with a resistance range of between 50Ω and 10MΩ, low TCR of ±2 ppm/°C and with a tolerance of ±0.01% or ±0.1%. The USF240 are constructed with two selected USF300 series resistors bonded back to back for parallel connection on the PCB and using a ceramic package provides cool operation. Utilising Caddock proprietary resistance film systems, they pr.. The USF270 series from Caddock are ultra-stable low temperature coefficient (TCR) film resistors, with a resistance range of between 990KΩ and 5MΩ, low TCR of ±2 ppm/°C and with a tolerance of ±0.01% or ±0.1%. 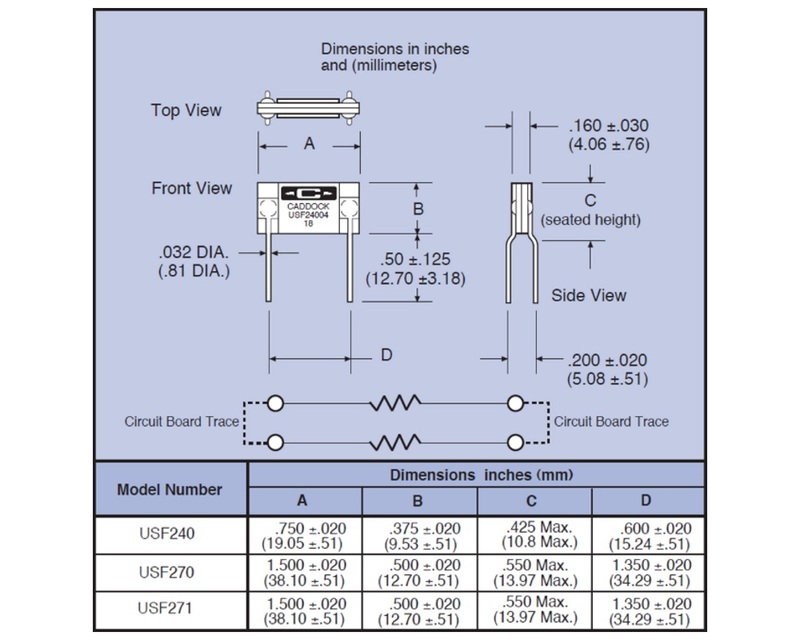 The USF270 are constructed with two selected USF300 series resistors bonded back to back for parallel connection on the PCB and using a ceramic package provides cool operation. Utilising Caddock proprietary resistance film systems, they p.. The USF340 series from Caddock are ultra-stable low temperature coefficient (TCR) film resistors, with a resistance range of between 50Ω and 20MΩ, low TCR of ±5 ppm/°C and with a tolerance of ±0.01% or ±0.1%. The USF340 are constructed with an aluminum oxide ceramic sandwich which provides great thermal conductivity which very effectively minimizes the power coefficient drift. Utilising Caddock proprietary resistance film systems, they provide .. The USF370 series from Caddock are ultra-stable low temperature coefficient (TCR) film resistors, with a resistance range of between 990KΩ and 10MΩ, low TCR of ±5 ppm/°C and with a tolerance of ±0.01% or ±0.1%. The USF370 are constructed with an aluminum oxide ceramic sandwich which provides great thermal conductivity which very effectively minimizes the power coefficient drift. Utilising Caddock proprietary resistance film systems, they provid.. 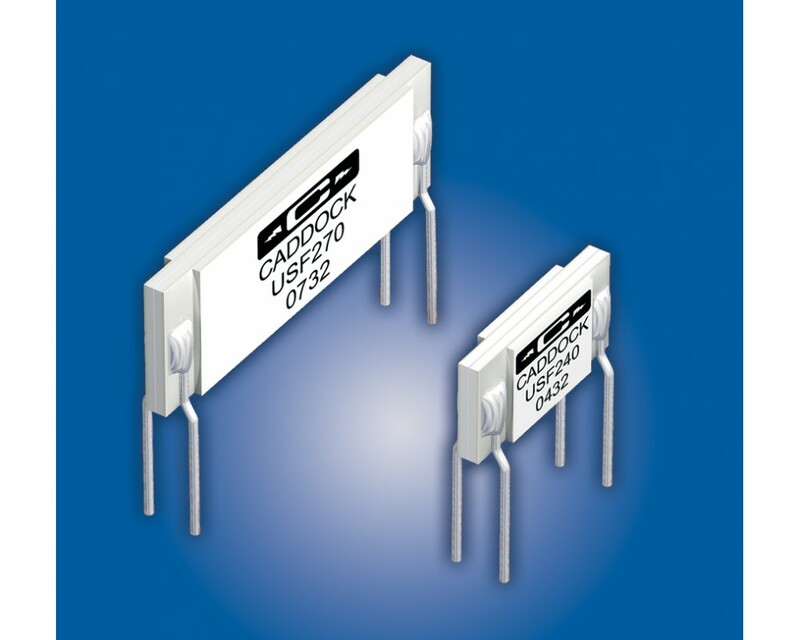 The USF371 series from Caddock are ultra-stable low temperature coefficient (TCR) film resistors, with a resistance range of between 19.8MΩ and 25MΩ, low TCR of ±5 ppm/°C and with a tolerance of ±0.01% or ±0.1%. The USF371 are constructed with an aluminum oxide ceramic sandwich which provides great thermal conductivity which very effectively minimizes the power coefficient drift. Utilising Caddock proprietary resistance film systems, they provi.. 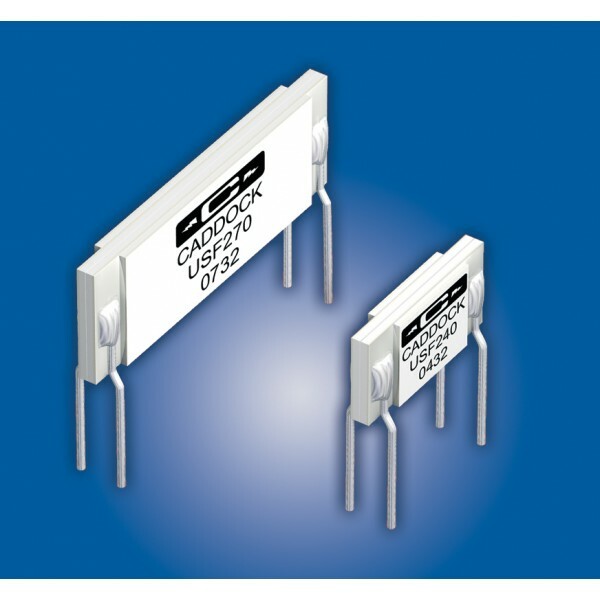 The USFS series from Caddock are high voltage, ultra stable, low TCR selected resistor sets. The resistance values available for the complete sets are 30MΩ, 50MΩ and 100MΩ all with a TCR of 2 ppm/°C and a tolerance of ±0.10% for each set. The USFS resistor sets are designed for use in high voltage systems that require the very best temperature and long term stability. These are manufactured with Caddock's Tetrinox® resistance film system, the i..